Presenting yourself in a professional manner will increase your chances of advancing in the pursuit of your dreams. Acting in a business-like manner will show agents, editors, and publishers that you are serious about your writing career. Having a website will establish a business mindset. It will let others know you’re serious about your dreams. If you hire someone to design your web page, they will often offer other services such as designing business cards. Creating cards that have the same visual background and photo will help people remember your name and face. Head shots by a professional photographer will enhance your presentations. Building a strong social media presence will allow people to get to know you. A blog will connect you with people of similar interests. A newsletter, even if you’re not published yet, will help build a foundation of followers. Wear your best clothes for appointments, even if it’s jeans. Being neat makes a better first impression. Studying the types of writing that an agent or editor is interested in will direct you to present your material to the right person or agency. You are setting yourself up for rejection if you submit your work to an agent or editor who is not promoting your genre. 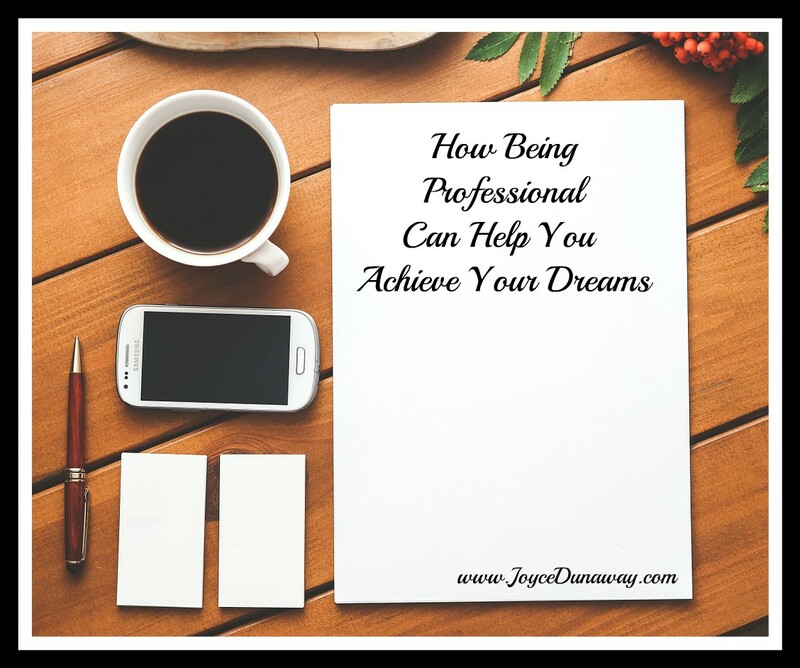 I would love to hear how being professional has helped you in the pursuit of your dreams. Please share your thoughts in the comment section below.